Google was not forthcoming on this particular search. And so I decided to seek out my queer Asian lineage and chronicle the journey in a docuseries for NBC Asian America. 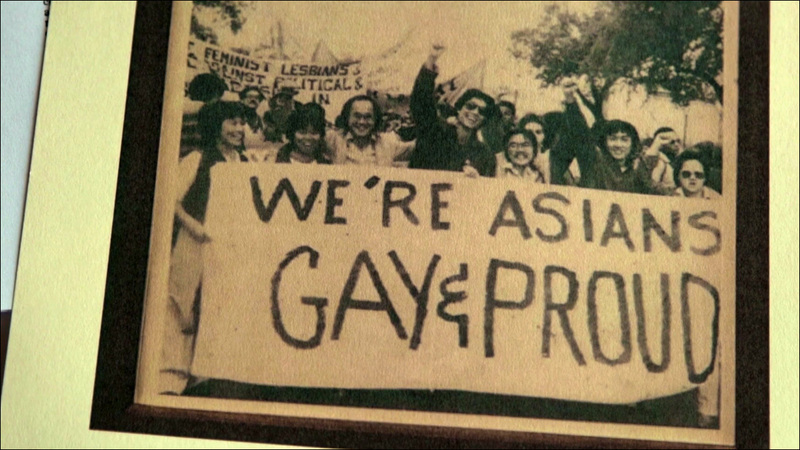 The short video series, Searching for Queer Asian Pacific America, covers everything from the first March on Washington for Lesbian and Gay Rights (1979) to the first Asian Pacific Islander transmasculine retreat in the country (2017). In each episode, we travel around the U.S. to find out about the historic event and talk with queer and trans community elders about their involvement. A new episode will be released every Wednesday during Pride Month by NBC Asian America, starting today. While working on this project, I realized that LGBTQ Asian Pacific Islanders have been a vibrant part of American society for decades -- often working at the front lines of Asian Pacific American organizing and advocacy, and often doing so in the closet due to the entrenched homophobia and transphobia of immigrant communities and Western culture. My hope is that this video series empowers current generations of queer Asian Pacific Islander youth to learn about and be proud of our shared history. I hope that when a teenager searches for "queer Asian history," they can drop into a YouTube wormhole that lasts for hours, if not days. I also hope that our straight Asian Pacific American allies watch this series, because our collective struggles for visibility, equality, and liberation have always been -- and will always be -- linked. API Equality Northern California (APIENC) is home to an incredible archive of oral history interviews, called the Dragon Fruit Project, that documents "queer Asian Pacific Islanders and their experiences with love and activism in the 1960s, 70s, 80s, and 90s." The Dragon Fruit Project also helps create Wikipedia pages to document and disseminate our community's histories. There's also an extensive Wikipedia page on South Asian and diasporic LGBT history. In 2016, historian Amy Sueyoshi published a deep-dive into queer Asian history entitled "Breathing Fire: Remembering Asian Pacific American Activism in Queer History." The Resilience Archives uplifts the histories of LGBTQ API people in the Bay Area, in part by empowering community members with archiving, stroytelling, and filmmaking skills. The Visibliity Project is a "portrait and oral story series" led by photographer Mia Nakano that documents the Asian Pacific American women and transgender community.